Delirium and dementia are disorders than affect a person’s mental state. Each disorder is different, and are not to be confused with each other. This article will explain why. Delirium, also referred to as acute confusional state, is a decline from what was already a baseline level of mental state brought about by organic causes. It is characterized by a short attention span and disorganized behavior. It also involves irregular sleep patterns, perceptual dysfunctions, and psychotic episodes such as delusions and hallucinations. 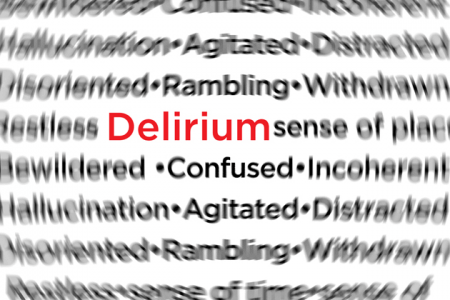 Delirium, by itself, is considered a set of symptoms instead of a mental disease. Many medical conditions are known to result in delirium. It may be brought on by another disease, alcohol abuse, or as a side-effect of drugs during treatment or even withdrawal from certain medications. Delirium is also known to be caused by diseases that are outside the brain but are still able to affect it such as infections (e.g. pneumonia or urinary tract infection). By definition, delirium must be a result of an organic process or any observable structural, chemical, or functional problem in the brain. 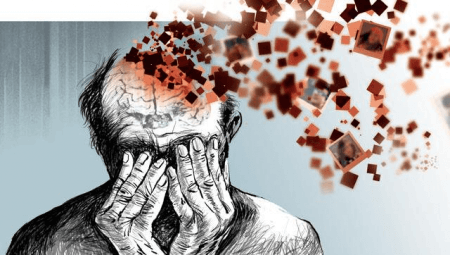 Diagnosing delirium may be difficult unless the patient’s regular mental function has been properly established; otherwise, it can be confused with several psychiatric disorders because the symptoms and signs of delirium can also be found in psychosis, depression, and dementia. Thus, delirium can only be treated by treating the underlying cause. Dementia is a disease that affects a person’s mental state and the manner in which the patient interacts with others. It is common for dementia to be associated to an illness or brain damage. Short-term memory, speech, motor skills, and the mind are usually affected by dementia. In addition, a person with dementia will lose previously acquired knowledge and skills. People with learning difficulties will never develop certain skills once dementia has set in. Some forms of dementia can alter a person’s personality. While older people are more prone to dementia, younger people can be affected as well. There are forms of dementia that are reversible, and these are ones caused by injuries to the head or the brain (i.e. traumatic brain injury). Irreversible forms of dementia are usually caused by an incurable disease such as Alzheimer’s disease. Heavy alcohol abuse may lead to alcohol dementia. Liver or kidney failure and brain infection caused by meningitis can also result in this degenerative, debilitating disease. So what’s the difference between delirium and dementia? Delirium is a sudden decline in a person’s mental state as a result of an organic process. It usually characterized by confusion, a short attention span, and disorganized behavior. Dementia is a chronic mental condition where the brain gradually loses its functions. A person with dementia usually becomes forgetful or confused, and his ability to think, communicate, and remember becomes adversely affected. Delirium is caused by organic processes, usually an acute medical disease, alcohol or drug abuse, and infections such as urinary tract infection and pneumonia. On the other hand, dementia can be caused by an illness or brain damage (e.g. traumatic head injury or Alzheimer’s disease). Delirium can be treated by treating the underlying problem causing this symptom. In contrast, while some forms of dementia are reversible, some forms are irreversible (e.g. Alzheimer’s disease). Here’s a thorough explanation of delirium and dementia.